As a blogger, you want to get traffic to your site and make money. Once of the simplest ways to do this is through your e-mail newsletter. But, getting those people to want to sign up can pose a challenge. The simplest way to get people to sign up for something is to give them something for free. Think about the blogs that you follow. Go back and look at their site and their e-mail newsletter sign-up boxes. How many of them offer something free if you sign up? Chances are, most of them do this. They do it for one reason. It works. An opt-in may seem like a great idea, but how do you create one? If you are new to blogging, you may not even know what an e-mail list is. Your e-mail list are the readers who sign up to get regular newsletters (via e-mail) from you. They sign up because they are interested in your site and want to continue to learn more about what you have to say. The #1 reason you need an e-mail list is that you are in control of getting your content out to the people who want to see it. You know you can’t rely upon Facebook or Pinterest as the algorithms are always changing. Sure, you post there, but not everyone will always see your site. Several years back, Facebook showed every post made on every page in your newsfeed. As a marketer, it was such a simple way to get traffic as everyone would see what you were doing. Then, they made changes and it all disappeared – literally overnight. Traffic tanked and it left bloggers struggling to find a way to make up that lost traffic. The same can be said for Pinterest. Many algorithm changes have had a negative effect on traffic to blogs and websites. Social media is the one marketing tool over which you have no control. However, when it comes to your e-mail list, you own it. You control what is in it, when it shared and even who will see it. Not only do you have more control, but the people on your list are interested in the content on your site. They are often more engaged and willing to click to read your posts and more importantly, buy the products you recommend! Your e-mail list is a simple tool to help increase income. If you have not already done so, you will need to sign up with an e-mail provider. There are a few platforms I have recommended, including ConvertKit, MailerLite, and ActiveCampaign. If you are new to creating a list, I would advise starting with MailerLite. It is free up to 1,000 subscribers, so it can help with your budget. I use ConvertKit on this site and ActiveCampaign on another. Sign up with your provider. I recommend reading any of the tutorials that they offer so you can figure out how to find the link to put onto your site, create sign up forms and link the account to sign-up forms on your blog. The simple way to get readers to sign up is to first, have content that they want to read. Therefore, it is important that you be 100% authentic and original. Be yourself. However, that is not the only thing you need to do. As the title of this post explains, you need an e-mail opt-in. An opt-in is a free item that you offer to entice people to sign up for your list. It can be a printable image, e-book, infographic, checklist, template, cheat sheet…..almost anything you want to offer. It must be in a digital format so that it can be e-mailed directly to your subscribers (via your e-mail provider). The simplest idea is to find the content on your site and look at it. Perhaps you have a post series that you could turn into an opt-in. Or, maybe you have a post that you could write in more detail that may make a better printable checklist. You might have 10 recipes that all relate that you could put into a book. It could even be a new idea about something you want to market to your readers. Whatever you decide, make sure that it relates to your site. For example, I’d never put a printable about essential oils on this site as it is about blogging and social media. Essential oils has nothing to do with that. It would cause confusion and alienate those who signed up thinking that I would have newsletters talking about oils. Imagine the shock when they get an email about creating an opt-in! They’d all unsubscribe. I’d lose credibility. Find something that you feel would be helpful to your readers. Once you know what your opt-in will be, it is time to create it. There are some simple ways that you can do this — all of which are FREE! GOOGLE DRIVE: You can create a document in Google. Once it is in the format you like, download it as a. 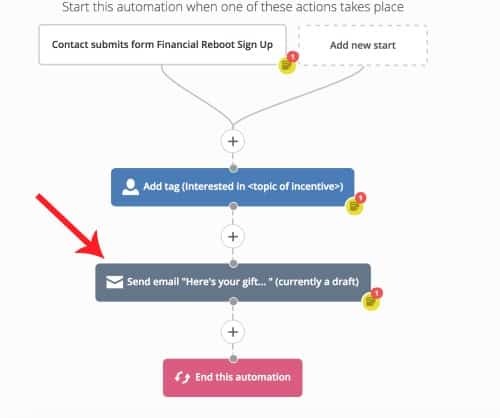 Then, you can upload to your autoresponder with your e-mail provider and it will be sent as soon as someone signs up. WORD: If you have MS Word, you can also create your opt-in form here. It can also be saved in a format as well, so you can add it to your e-mail auto responder. CANVA: If you want graphics on your opt-in, Canva is a great resource. They even offer different templates that you can use (infographic templates are incredible). While most of the elements they offer are free, there are some which cost $1 each to use (and you can edit the document for up to 24 hours after you first download it, before you will need to pay for the element again). Make sure you export this as a as well. Once you have your e-mail provider and your opt-in, you are ready to create the autoresponder. The autoresponder is the e-mail that is automatically sent once someone signs up for your newsletter. This is the only way to do an opt-in, as you sure don’t want to manually email every single person! Each e-mail service has its own autoresponder. They may refer to it by a different name. For example, on ActiveCampaign and ConvertKit, it is called Automations. I’ll walk through how to do this on each platform, so you will know how to do this yourself. Click on Forms from the blue banner. Then, click on the +Create Form Button (beneath the graph). Next, decide if you want a large landing page where people will go to sign up, or if you want a form. I use the forms so that I can quickly embed that into each of my posts. For the sake of this lesson, we will use forms. Select the form style you want to have on your site. I recommend the middle option so that you can include an image of your freebie (images can help in generating more sign ups). Customize the form. You can change the colors, images, wording, etc. Make sure that you include details for your freebie so the reader knows what he or she will receive. Once customized, click on Settings. This is where you will add in the opt-in. Give your form a name (this is internal only, so use something you will recognize). Next, click on Incentive Email. Edit the content here as you see fit. Try to personalize it a bit, so it is not so generic. It defaults to Confirm Your Subscription. You could change it to – Confirm Now to Get Your ______________. That way, people know to confirm (they won’t get the freebie if they do not). Once done with that, click on Incentive Download and upload your opt-in form. You can look through the other options to change the style and other features of your form as needed. When you are happy with how it looks, hit Save Form (at the bottom of the box). You need to add the plugin to your WordPress blog. That will link your sign-up boxes to your site. Now, when you type a post, you can click the box from your dashboard and add it to your post (see image below). There you go! 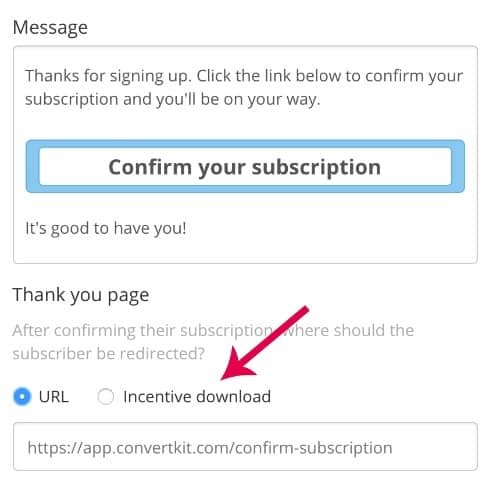 The simple way to create an opt-in using ConvertKit. It is also easy to create an opt-in on Active Campaign. Before you start, make sure you create a list for the opt-in (as you will use it in the next step — go to Lists, Add a new list and fill in the boxes). Then, click on Automations from the blue menu bar. Then, click on New Automation. In the search box, type opt-in. There will be one recipe that pops up. Select it. Click on “Here’s Your Free Gift” so you can edit it. You will want to create an email. Click on this. You will then be able to create your email. Just make sure that somewhere in the email you include the link to your (which you will want to have hosted on your site, in your media files). Follow the rest of the steps to start your automated sequence. Once you have created the opt-in and the automation to send it, you have to advertise it on your site. There are some simple ways to do this. ConvertKit. If you use ConvertKit, add the plugin to your site. Then, you will be able to click a link from a drop down and select the opt in form you want added to your site (it will be in the dashboard when you create a new site). It will be placed at the bottom of your post. Your e-mail provider. Look at the options available through your e-mail provider. Some may offer opt-in forms, but most do not. The majority of them just provide a simple link that you place on your site, which is not a true opt-in form. Make sure that what your readers sees tells them what the opt-in will provide to them. ThriveLeads. This is an other plug-in as well. This one allows you to add your opt-in form on a post, as a pop-up or even as a welcome bar (at the top of your site). What is really great about this service is that you can test two forms against one another and it will automatically keep the one that has the highest conversion. For instance, if you are not sure if a slide in at the bottom of your page works better than a hello bar at the very top, you can have those two compete against one another for a period of time. At the end of the testing period, ThriveLeads will determine which one was more successful and keep that one live on your site – but disable the one that does not do as well. In addition, you can create opt-in boxes and place code anywhere in your posts you would like for the form to appear. You are not limited to placement at the bottom of your post (such as with ConvertKit). This is a paid theme, but the investment pays for itself very quickly. It takes a little time to create your opt-in and the mailing sequence, but once it is done, you’ll start to see those email opt-ins start to increase! Этот важный web-сайт , он рассказывает про http://agroxy.com. Узнайте про полезный портал , он рассказывает про кредит наличными без справки о доходах киев.